2006 : Mahmood F. Mafee, M.D., F.A.C.R. The American Society of Head & Neck Radiology is proud to present the “Gold Medal Award” to Dr. Mahmood Mafee on September 29, 2006 at the 40th Annual Meeting, in recognition of his contributions as a scientist, an educator and a leader in our subspecialty. Dr. Mafee was born in Iran. His father was a pharmacist and he has four brothers and three sisters. Two of his brothers are physicians practicing in the United States. He attended the American Alborz College, in Tehran, Iran, where he majored in physics. He received his medical degree in 1969 from the University of Tehran, Iran. Dr Mafee did a year of rotating internship at Tehran University Hospitals and then served in the Army for two years. He came to the United States in May 1972, and did a year of internship at Huron Road Hospital in Cleveland. He then completed his radiology residency at Albert Einstein College of Medicine and the University of Illinois at Chicago, and served a fellowship in Neuroradiology and Head and Neck Radiology at University of Illinois under the direction of Professor Galdino Valvassori, Chief of Head and Neck Radiology, and Professor Glen Dobben, Chief of Neuroradiology. He has remained at that institution for most of his career, rising to the rank of Professor of Radiology in 1985, Director of Eye and Ear Infirmary Radiology (1981-2006), Director of the MRI Center (1987-2003), and Chairman of Radiology (1996-2003). Early in his academic career, he realized that clinical research as well as basic research were essential to the advancement of his specialty as well as his academic career. He was fortunate to have access to the first generation GE CT prototype scanner, which was installed in Dr. Valvassori and Dr. Dobben’s office in 1975. Dr. Mafee later joined Dr. Valvassori and Dr. Dobben in practice while he remained part-time at the University of Illinois Hospital. He worked with the two of them in studying the role of CT technology in neurological and head and neck diseases, with the goal of investigating for the first time the clinical applications of CT in those areas. 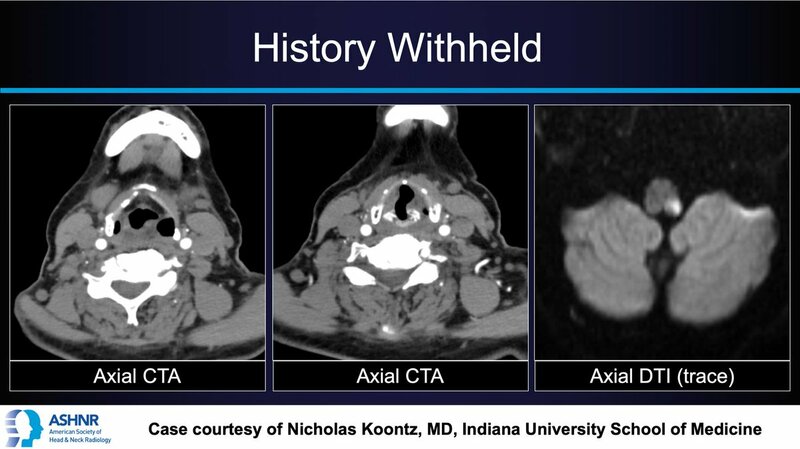 Dr. Mafee contributed to this rewarding project for years and gained invaluable clinical experience, along with an appreciation for the meticulous work that was necessary to advance the frontiers of head and neck imaging. In 1978, Dr. Mafee, along with Dr. Dobben and Dr. Valvassori and in collaboration with GE Medical Systems investigators, developed the technique of dynamic CT imaging and high resolution imaging of temporal bone, Dr. Mafee was also involved in clinical research on MRI, using the1.5T prototype at General Electric Medical Systems in Milwaukee, WI. Some of his first MRI papers on ocular imaging were the result of the work that he did at General Electric. In 1992, he had the honor of being installed as the 17th President of the American Society of Head and Neck Radiology. Another highlight of his academic career was the time he spent at Armed Forces Institute of Pathology (AFIP) in Washington, D.C. He was selected by the Conjoint Committee for Radiology at AFIP as their choice for the1993-94 Distinguished Scientist in the Department of Radiologic Pathology. He received the 2006 Distinguished Faculty Award of the University of Illinois College of Medicine at Chicago. This is an award given to a single faculty member of the College of Medicine each year. Dr. Mafee has hosted and mentored many international visitors in Head and Neck Radiology. He has been the guest editor of five issues of Radiologic Clinics of North America, 3 issues of Otolaryngologic Clinics of North America, an issue of Neuroimaging Clinics of North America, and 2 issues of Magnetic Resonance Imaging. Dr. Mafee has recently retired from the University of Illinois at Chicago to work at the University of California in San Diego.